SCC has very remarkable and MSX original sound. If you have no SCC cartridges, I recommend you to have one. It’s not easy to get but not so difficult. Let’s see how to get SCC cartridges. 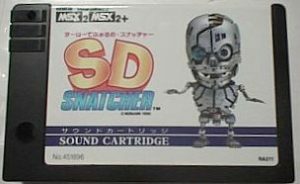 Official SCC sound cartridges are only these two products. 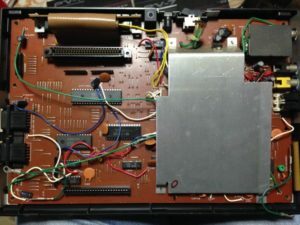 Cut circuit pattern or insert switch to game program roms on ordinary game cartridges with SCC. When you use it as SCC sound cartridge, turn off the switch avoiding start the game. Modify your Konami games which has SCC and embedd extra SCC roms on ordinary game cartridges with SCC. OneChip MSX build SCC cirbuit on FPGA and can use SCC sounds by changing DIP switch. Some new compatible SCC cartridges are relesed by MSX fan’s orojects and some new models are relesed with build-in SCC as well, after Panasonic withdrew from MSX market. **Emulators which supprts SCC are separately discribed in this blogs. 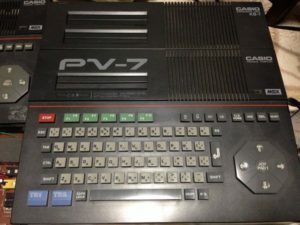 The weakest MSX ever, Casio PV-7 & Expansion unit KB-7. PV-7 has 8k byte main RAM. 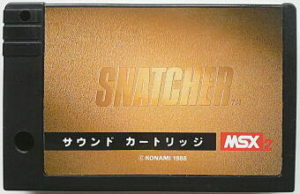 Konami’s early titles ran on this weakest platform. It’s unbelievable nowadays. PV-7 in this picture is docked on KB-7 expantion unit, and has 3 cartridge slots. Extend 16k RAMs are also embedded in KB-7. PCB is so simple that you can trace electric circuit. 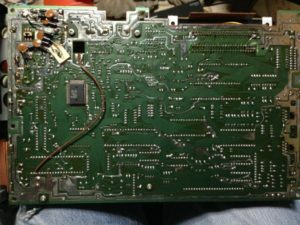 You can find this is literally the simplest MSX, if you read PCB reffering to MSX document. If you find this PV-7 or PV-16 (updated version of PV-7) I recommend to get one. 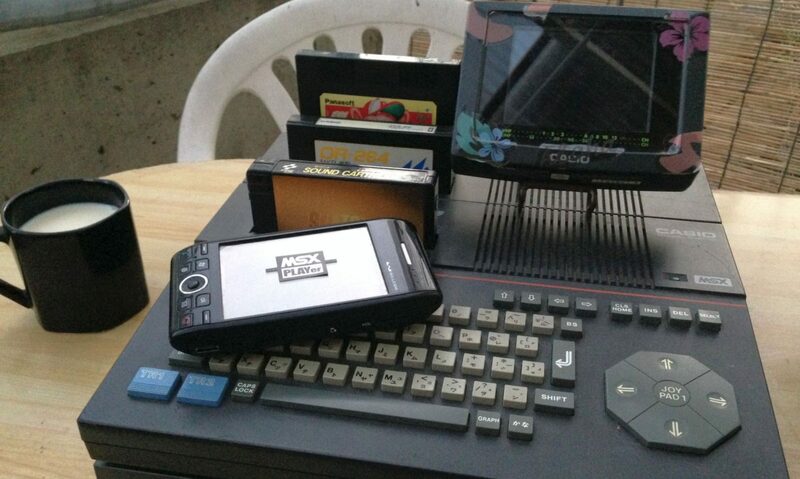 It’s very ideal design for MSX DIY hobbyist.